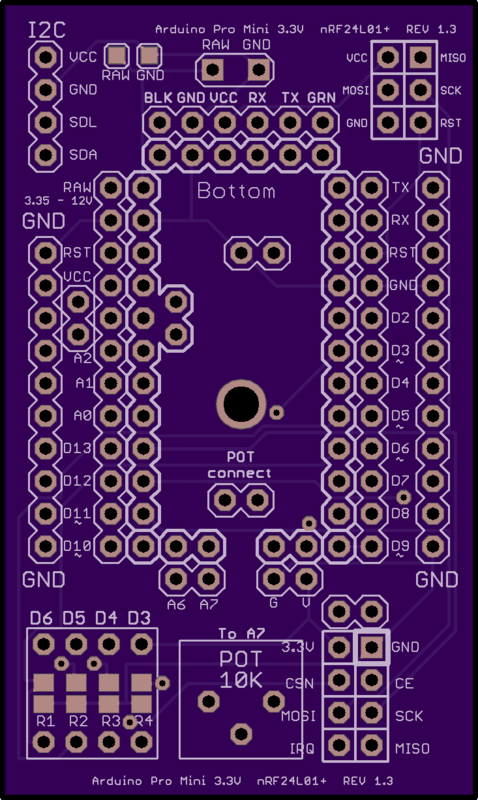 2 layer board of 1.47 x 2.45 inches (37.3 x 62.3 mm). Uploaded: March 28th, 2014 16:55. 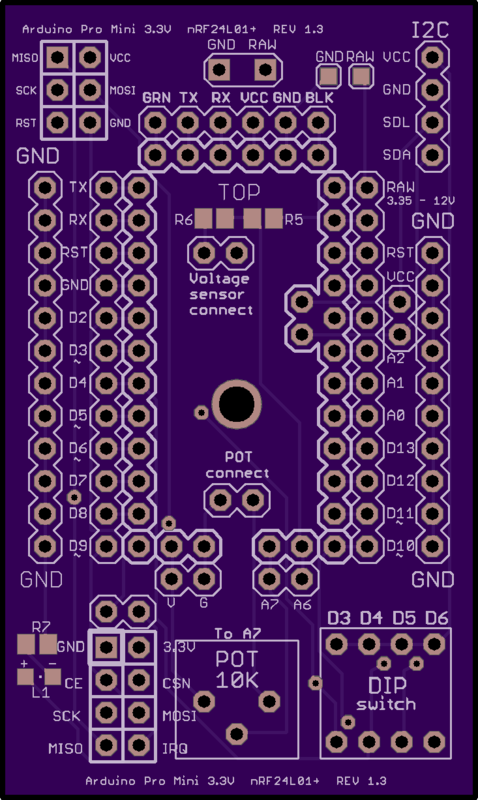 Breakout board for arduino pro mini 3.3v, with an nRF2401+ connection. Also includes 4-DIP switches and a pot. The I2C and SPI lines are also broken out.